The deadline for this call has been closed. 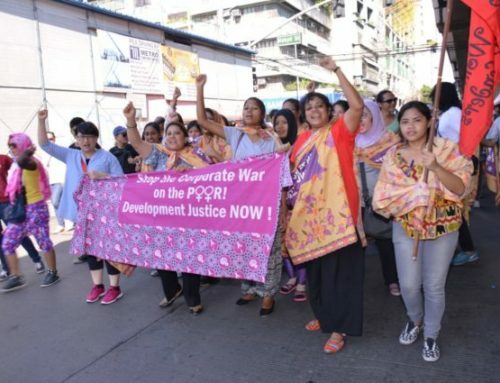 APWLD invites grassroots women’s rights organisations and movements to take part in this exciting Feminist Participatory Action Research (FPAR) programme that aims to develop capacity, tools and resources that support rural, indigenous, migrant and urban poor women (RIMUP) to demand their rights on land, water, soils, biodiversity, and other natural resources. Access to land and natural resources is increasingly recognised as the strongest poverty eradication measure, a more relevant indicator than dollars per day. A growing body of evidence demonstrates that the extent to which rural women have secure access, use and decision-making control over land and natural resources is significant factors of the level to which they can enjoy their full human rights, Women’s control over arable land and other productive resources leads to stronger development outcomes for families and communities, decreased malnutrition, increased food sovereignty, more sustainable farming practices, and evidently can enable women to resist different forms of discrimination and violence they are facing in their daily lives. 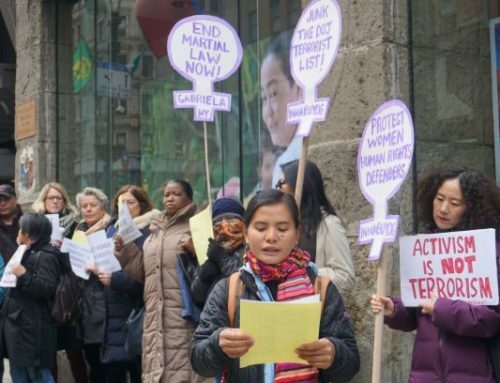 However, the situation in Asia and the Pacific in terms of women’s land rights is quite dimmed and encounter increasing threats due to systemic and structural issues. Neoliberal capitalism a model driven by economic growth have been a major driver of displacement of women and have led to increased violations of rural, indigenous, urban poor women’s rights. It has shifted rural economies to export-oriented cash crop, enabled multinational agribusiness to monopolise input markets, pushed the aggressive spread of economic zones and massive infrastructure developments, resulting in large-scale acquisitions of land, communal forests and water resources by foreign investors. The new generation of trade and investment agreement gives more power to agribusiness and corporations to take control over land, forests, seeds, and other productive resources and diminishes the role of the state as duty bearer to provide public services and protect the environment. This extractive model of development has led to climate change and climate-induced disasters that disproportionately impact rural, indigenous, urban poor women and expose them to increased risks of loss of land, livelihood, and exacerbate gender inequalities in their communities. Ironically, many of climate projects and policies offered false solutions that oftentimes displaced women from their land and livelihood rather than ensuring their rights over these. Big “clean energy” projects like geothermal energy, hydropower dams, biofuel plantations forcibly displaced women and men in local communities . Furthermore, projects like REDD+ and other conservation projects that oftentimes were not planned and done in consultation with local communities – including indigenous women – further alienate women from their natural resources and their traditional local knowledge and practices. 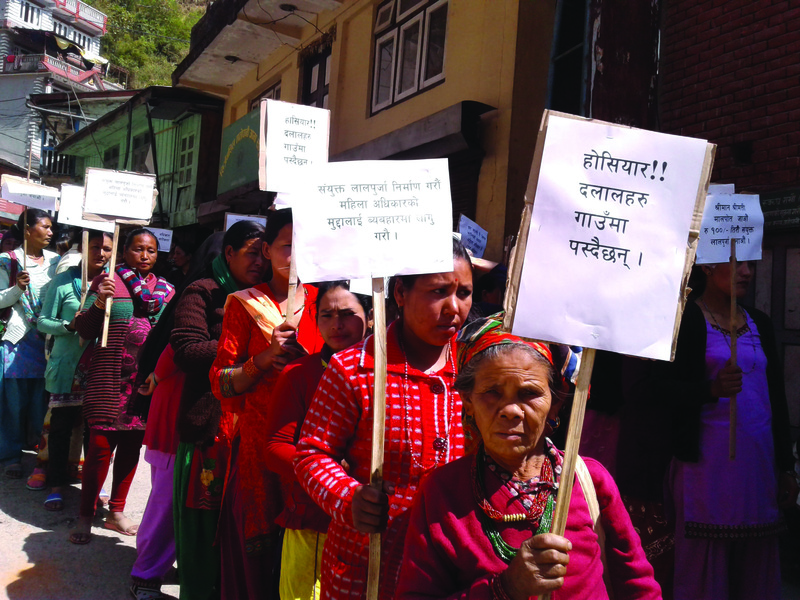 In the midst of these increasing threats, patriarchy has further denied women’s right to property, land and livelihood including their rights to inheritance, decision-making and management over natural resources. In many countries, women’s access to and control over land, water and other productive resources is negatively impacted by patriarchal discriminatory land ownership laws and practices – i.e inheritance, succession, customary, and/or family laws and marriage related practices. The UN Working Group on discrimination against women in law and practices recently found that “women are more harshly affected by land tenure insecurity due to direct and indirect customary laws and practices at the national, community and family level”. Lastly, this patriarchal system and governance that rely on the use of power and violence often times use military, state forces and even oppressive laws and policies in the name of development to repress the resistance and struggles of women and men in local communities in defending their land, livelihood and environment. We believe that ‘development’ is supposed to benefit poor, marginalised women of the global south. They are best able to identify both the problems and solutions. 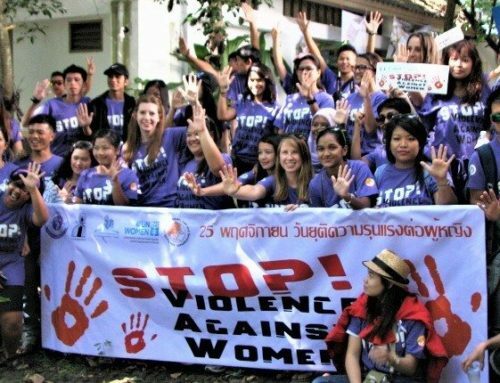 In 2013, APWLD together with rural, indigenous, migrant, urban poor women organisations and civil society in the region made a unified call for Development Justice. Development Justice promotes peoples’ rights, dignity, well-being and solidarity while addressing the inequalities of wealth, power, and resources between countries, between rich and poor and between men and women. 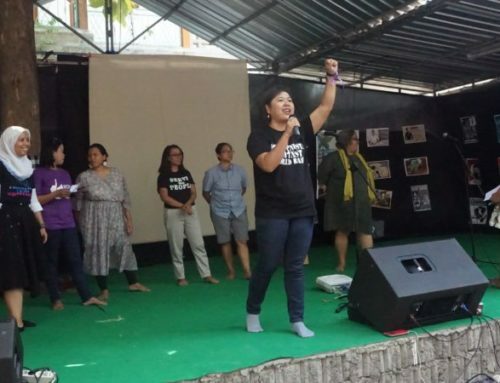 APWLD believes in the power of local feminist movements. We believe that in order to challenge the current development model and to claim women’s land rights, strong movements of rural, indigenous, fishers, urban poor women are needed. They must be supported to build their capacity to document the impacts of loss of land, forests, water and other productive resources on their lives and livelihood, have a meaningful engagement in decision-making processes in natural resources management, are able to form strong local feminist movements that work with other movements to demand accountability from state and non-state actors, and able to push governments in tackling systemic barriers to women’s land rights and sustainable development. Patriarchal discriminatory land ownership laws and practices – inheritance, succession, customary, and/or family laws and marriage related practices which deny women for property, land ownership and decision-making over natural resources management. Community-owned solutions and demand for land rights, sustainable livelihood and development justice. Develop and implement a community-based research plan. The advocacy planning for the documented cases will be done during the workshops so that each research will have a clear purpose and target for the research report. 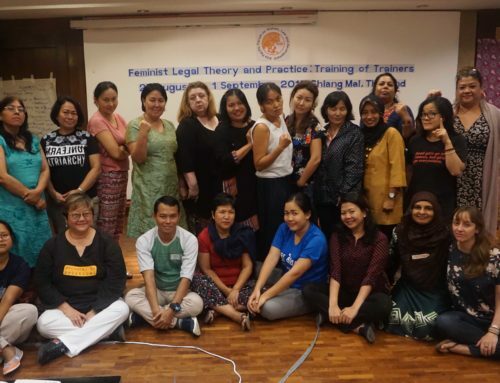 APWLD will provide eight to ten organisations with a small grant to employ a young woman researcher and carry out the research including salary and on-costs with the approximate amount of USD 12,000. Research partners will need to appoint a mentor to assist this young women researcher throughout this research programme. APWLD will also support the young women researchers and their mentors to participate in capacity building workshops and provide advocacy or network opportunities. Committed to appointing a young woman researcher and mentor, it is preferable to have at least one (either mentor or young women researchers) from the community where the FPAR will be conducted. Diverse human rights and development concerns of rural, indigenous, fisher, urban poor women and other marginalised women in Asia-Pacific. For more information on Land FPAR, you can download the Concept Note. Incomplete applications will not be considered. Please note that only selected applicants will be contacted. Wardarina (rina@apwld.org) and/or Trimita (trimita@apwld.org) who will be happy to support grassroots organisations to apply. Target countries exclude major developed countries in the region such as Australia, Brunei Darussalam, Japan, New Zealand, Singapore and South Korea.